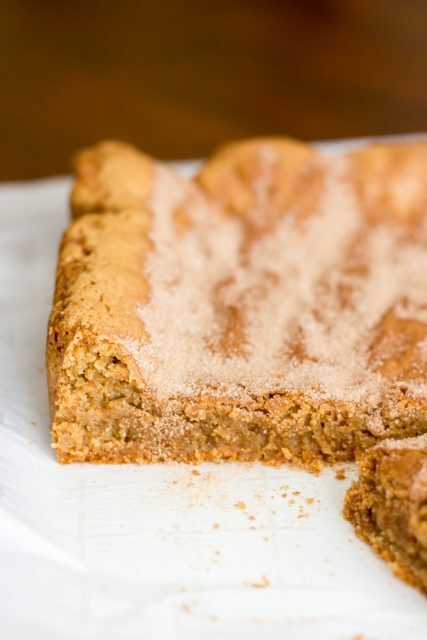 The first time I made these blondies – almost a year ago – they were a huge hit. I kept meaning to blog about them but months passed and I kind of forgot about them. Fast forward to a few weeks ago when I decided to make them again. Oh my goodness! I had almost forgotten how good they are! 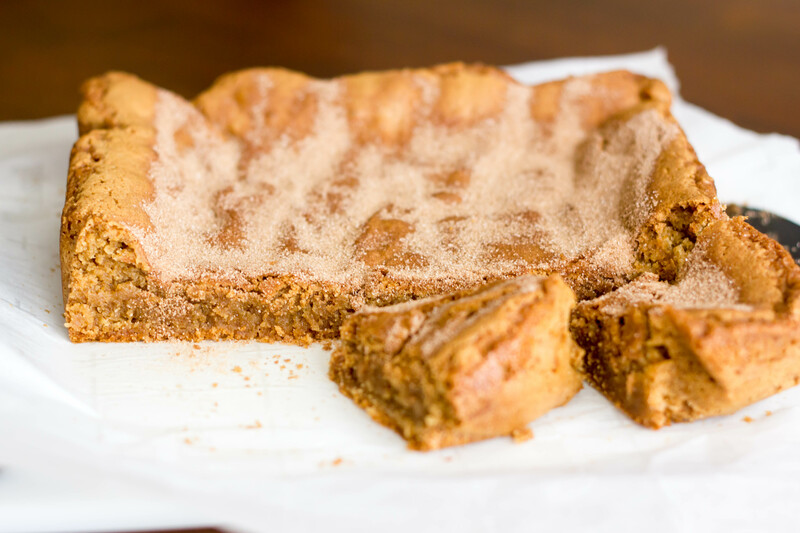 The edges are perfectly crisp, while the centers are chewy, gooey, and delicious! Bonus points because you probably have all the ingredients on hand. I could go on, but suffice it to say they are pretty much perfect. Make them ;). Enjoy! 2. In large bowl, whisk together melted butter and brown sugar until combined. Add vanilla and eggs and whisk until smooth. 3. 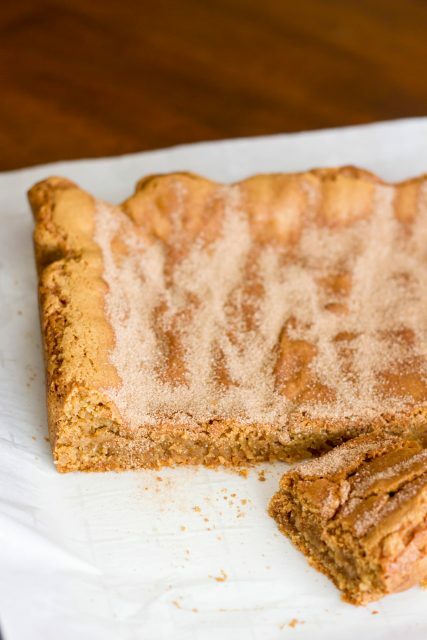 Add flour, baking powder, cinnamon, and baking soda and stir until combined. Batter will be thick. 4. Line a 9×9 inch baking dish with parchment paper. Pour batter into pan. Combine white sugar and cinnamon in small bowl. Sprinkle over batter. 5. Bake in preheated oven for 30-35 minutes. Remove from oven and let cool before serving.